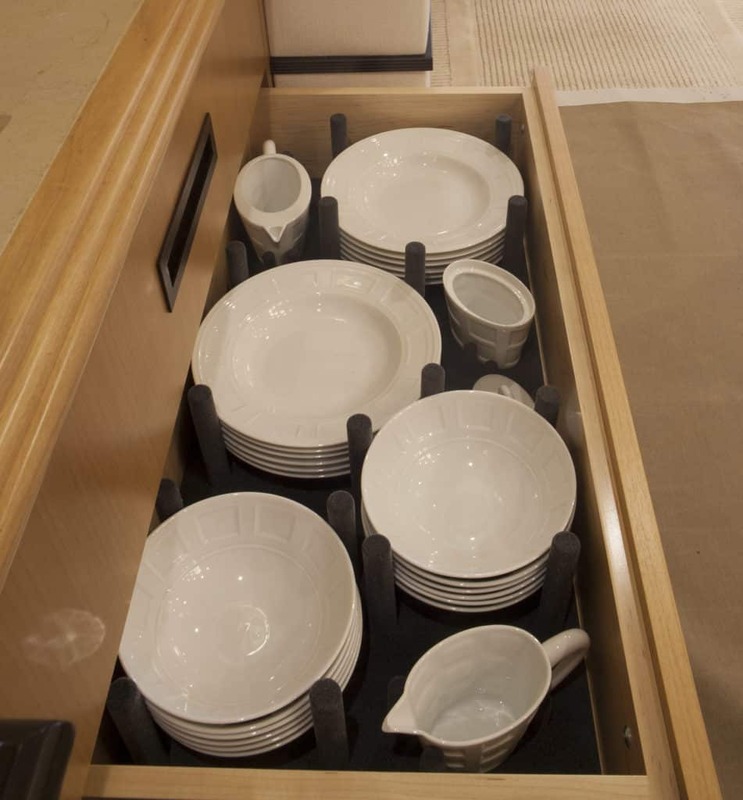 CREATIVE STORAGE IN YACHT DESIGN YOU CAN REPLICATE IN YOUR HOME FOR BETTER ORGANIZATION. 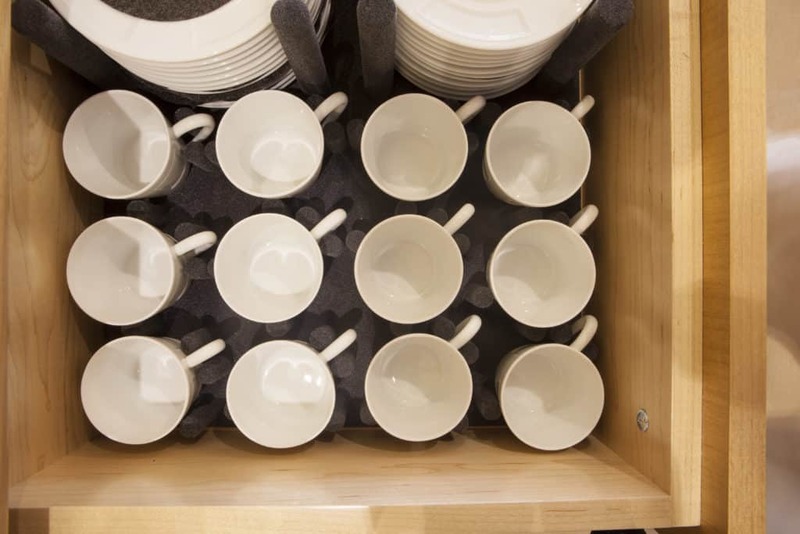 When space is at a premium yet EVERYTHING must fit….get creative! 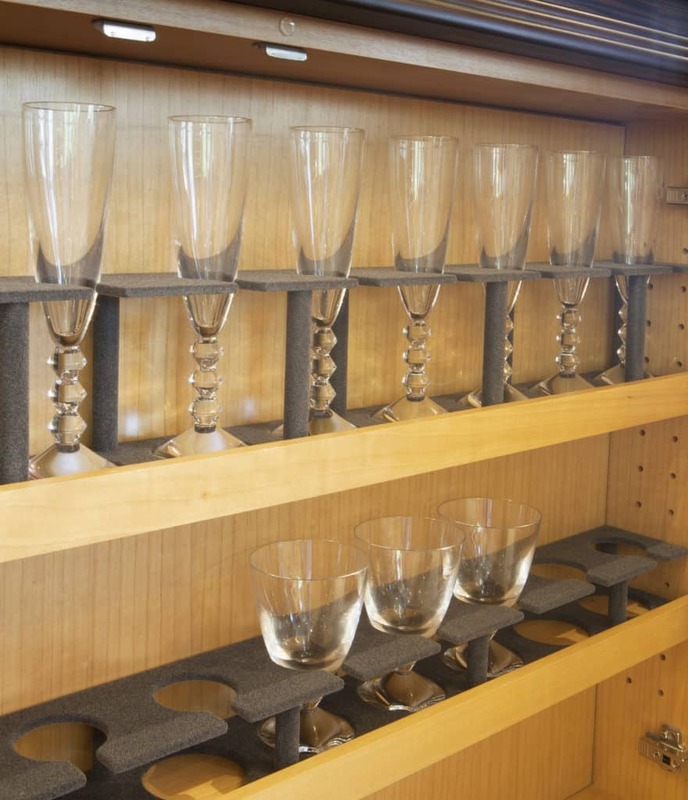 Even the most useless out-of-sight spaces can be creatively used for storage. 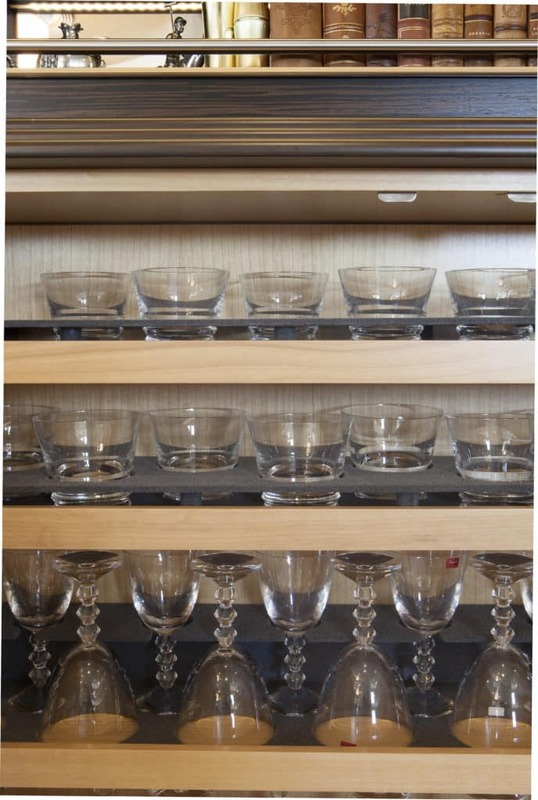 These / this images show how to capitalize and exploit conventional storage spaces such as drawers and cabinetry shelves, which when organized properly can typically hold MUCH MORE than when items are just haphazardly placed. You will be shocked. So go for it! You will be shocked. So go for it! Think of spaces such as low profile pull-out drawers in the toe-kicks of cabinetry, under the seat cushions of a custom sofa or chair, on the back side of a closet door. Hidden space can typically be found ANYWHERE. Just look. And use your imagination & your ingenuity! Photography by Scott Pearson. 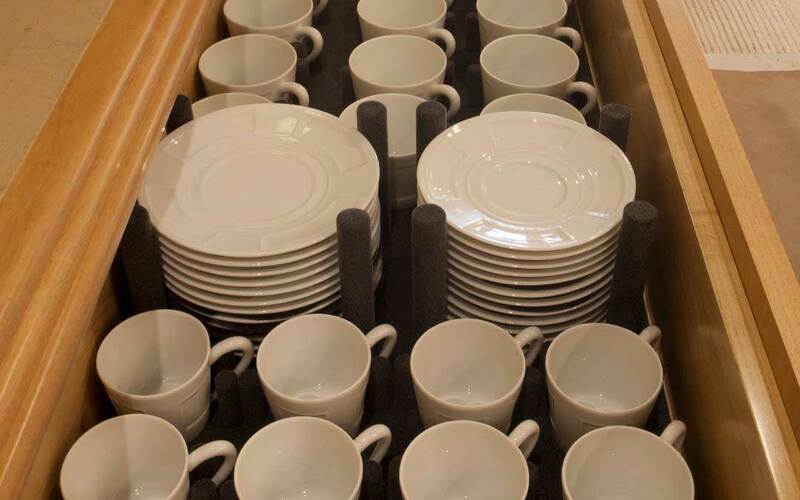 Storage design by Patrick Knowles Designs.